Our hearts beat... pumping ‘live giving’ blood, providing oxygen and nutrients to our cells from just a few weeks following conception effortlessly and relentlessly, until we depart this life. 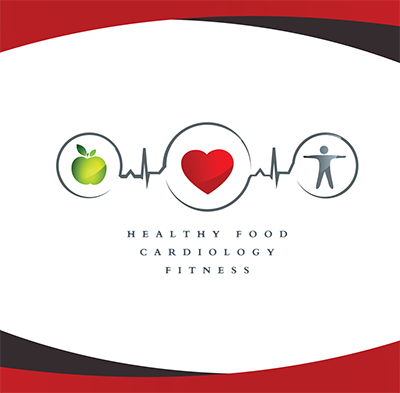 Our heart’s health is determined largely by our activity and dietary habits. As we are becoming more and more sedentary and the quality of our food is becoming poorer, our ‘developed’ lifestyles have made heart disease public enemy No. 1. We are our own greatest adversary. Heart disease is no longer an affliction of the aged, as although generally we are living longer, mostly attributed to advances in medical science, heart disease and heart attacks are affecting people earlier in life. 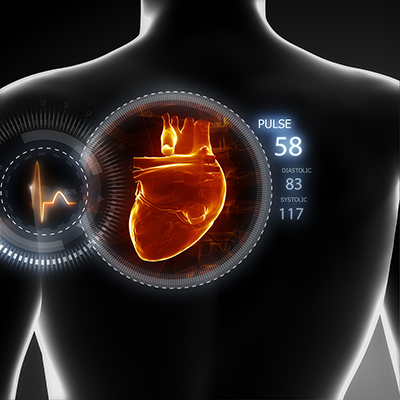 What Does Our Circulatory System Consist of? 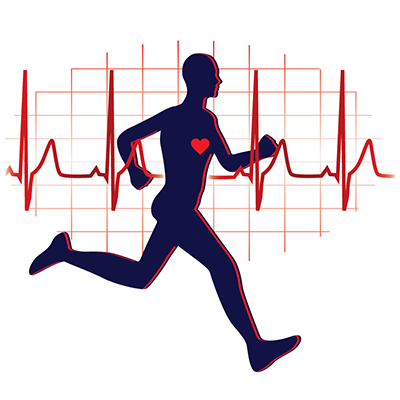 Our heart is a muscular pump, pumping oxygenated blood and nutrients around our body. The thick muscular walls enclosing the 4 chambers are called Myocardium (muscle of the heart). Our heart is divided into two halves. The right side pumps blood to our lungs and the left side pumps blood to the rest of our body. Each side of our heart is hollow and has two connecting chambers. 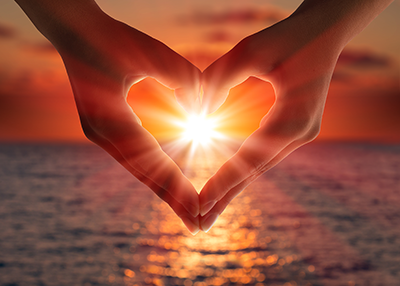 Our heart is an amazing feat of engineering; simple and beautiful. 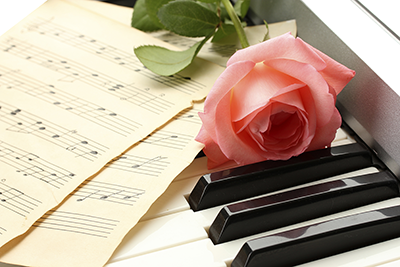 In love and music our hearts have become synonymous. We do not feel from our hearts, although we do feel with our hearts, as without its rhythmical beat we would feel nothing. The Atria refers to the upper two chambers of our heart, meaning entrance or hallway. The Atria receives blood first on either side of the heart (left and right atrium). The Atria receives blood via veins from different areas of our body and pumps it into the ventricles (lower two chambers). The Atria are smaller and less powerful than the ventricles as they only need to pump blood to the chambers below, where gravity assists; however, if the Atria did not contract, the blood could flow back passively. Ventricles (as explained) are the lower chambers of the heart receiving blood from the atria: they pump blood to various destinations around our bodies. The left ventricle has stronger muscular walls than the right due to the power required to pump blood around our whole body, whereas the right ventricle only pumps blood to our lungs. Heart Valves are vital in order to help our heart work correctly. Atrioventricular Valves (AV) separate the atria and ventricles preventing back flow of blood into the atria during ventricular contraction. Semilunar Valves (SV) prevent back flow of blood from where it exits the ventricles. The Pulmonary Valve prevents back flow of blood into the right ventricle from the Pulmonary artery (delivering blood to our lungs) under ventricular relaxation. The Aortic Valve prevents back flow of blood from the aorta (delivering blood to the rest of our body) into the left ventricle. Ventricular contraction is called Systole (upper figure of blood pressure reading); relaxation is called Diastole (lower figure of blood pressure reading). 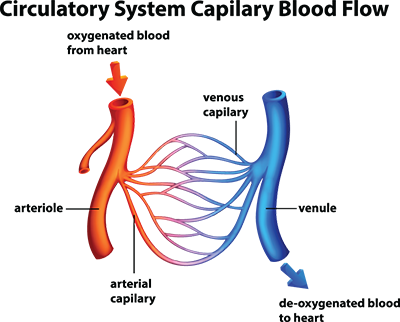 The right hand side of our heart receives blood from the upper and lower parts of our body via veins, called venous return. Blood is then pumped down into the right ventricle as the right atrium contracts. Blood from the right ventricle is then pumped via the Pulmonary Artery to our lungs as the right ventricle contracts and right atrium relaxes (Deoxygenated blood is dark red and can appear bluish through blood vessel walls). 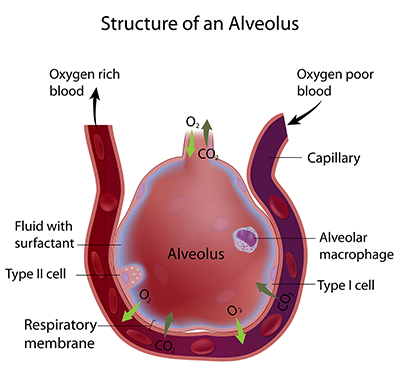 In the pulmonary capillaries C0₂ rich and deoxygenated blood is rejuvenated by diffusion as C0₂ passes into our lungs through the alveoli to be exhaled, and at the same time oxygen diffuses into the blood from our lungs. 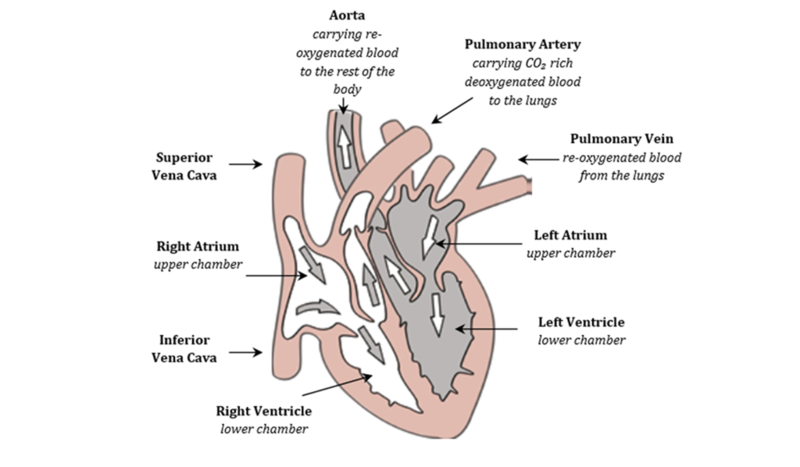 Re-oxygenated blood (now bright red) enters the left atrium via the Pulmonary Vein where it is pumped down into the left ventricle. Blood from the left ventricle is then pumped via the Aorta to the rest of our bodies. Oxygenated blood flows from the Aorta to arteries that become (smaller) arterioles and eventually (even smaller) capillaries. Through diffusion capillaries supply all our muscles, organs, tissues etc with vital nutrients and oxygen. C0₂ and waste products diffuse back into the blood through capillaries; blood then flows into venules that become veins. Eventually deoxygenated blood flows back to our heart via the superior and inferior vena cava to start the circulatory process once more. Our heart is a pump with a precise form of synchronisation. Our hearts pacemaker (Sino Atrial Node – SAN) initiates cardiac muscle contraction and is located in the wall of the right atrium causing electrical excitation first for muscle contraction to move blood. The atrioventricular node (AVN) delays the electrical signal (a split second later) so the blood can flow and the valves can close. When the right atria contracts there is a delay before the right ventricle contracts so the blood passing into the right ventricle allows the atrioventricular valve to close, then the ventricle can contract allowing blood to flow in the right direction. The septum is the central wall between the ventricles that receives the delayed signal from the SAN via the AVN. The ventricles contract from the bottom upwards, whereas the wave of contraction in the atria is opposite, top to bottom, as this is the direction blood needs to flow. The left and right atria contract simultaneously as do the left and right ventricles. 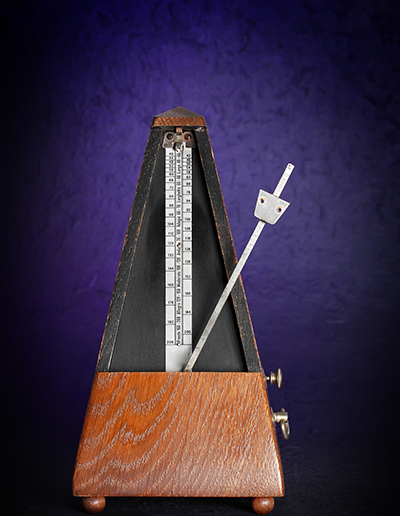 Our heart is stimulated on average 72 times (72 bpm) by the SAN; part of our autonomic nervous system. Refer to chapter, 'Mindset'. Blood is pumped from the Aorta (main artery) supplying all arteries with oxygenated blood. It is the largest artery in the body with most of the larger arteries branching off, except the main pulmonary artery. Coronary circulation is unique! Our heart is the only organ with a back-up supply with two sources of blood. A blocked vessel can be overcome as the heart still receives blood from the other source. CHD is the biggest killer in the UK and the world (when multiple vessels become blocked); also known as coronary artery disease. 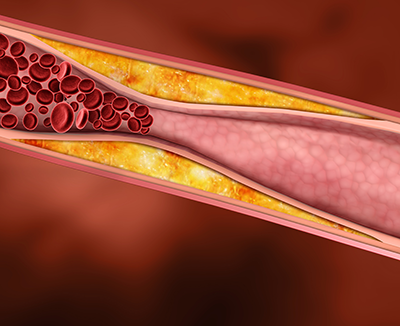 This condition develops as plaque accumulates in the arteries, impeding or blocking oxygenated blood reaching the heart, increasing the risk of heart attack and death. Eating processed (junk) foods that contain excess saturated fats or worse trans fats may increase blood levels of total and LDL (low-density lipoprotein) cholesterol; termed ‘bad’ cholesterol and decrease blood levels of HDL (high-density lipoprotein) cholesterol, ‘good’ cholesterol. Excess consumption of trans fats contributes to the risk of coronary heart disease. Keep your vessels healthy through regular exercise and good dietary habits to support your heart’s health. Blood pressure is an expression of the arterial blood flow and the peripheral resistance our blood encounters as it flows around our body; or more simply a measure of the force that the blood applies to the walls of the arteries as it flows through them. Blood pressure is measured in mm of mercury (mmHg) expressed using two numbers e.g. 120/80 mmHg, the two numbers represent systolic (ventricles under contraction) and diastolic (ventricles relaxed) blood pressures respectively. The pressure exerted on our artery walls when our heart is contracting and pumping blood. It is the higher of the two numbers and is noted first, caused by increased volume of blood flowing through arteries with each beat. The pressure exerted on our artery walls when our heart is in a rested state. This relaxed state allows the chambers of our heart to fill with blood prior to contraction. DPB is the remaining pressure between beats; it is always smaller than SBP. Erythrocytes make up around 40% of our blood and are produced in the red bone marrow within our bones. 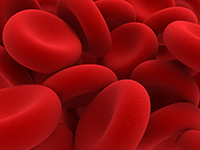 There are over 240 million red blood cells (RBC) in a single drop of our blood. RBC contain a protein called Haemoglobin that gives blood its red colour and binds with oxygen allowing it to be transported within our blood. 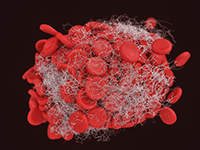 Leukocytes are transparent and make up about 1% of our blood, being 700 times fewer in number than red blood cells. Our white blood cells (WBC) are cells of our immune system; they defend us by destroying harmful bacteria and living organisms and protect us by removing diseased or injured tissue. 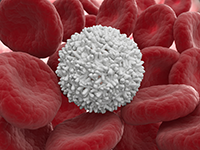 Five different types of white blood cells exist, however they are all produced from a multipotent cell in the bone marrow. Thrombocytes are whole fragments while RBC and WBC are whole cells. Platelets congeal to prevent blood loss from damaged blood vessels internally and release chemicals that help clotting externally. They are our first response to repair damaged tissues. 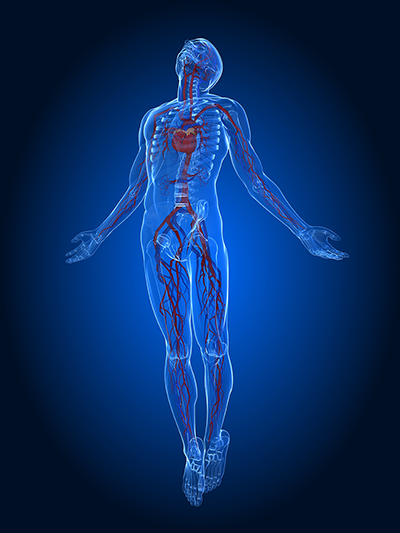 Blood vessels provide the means for blood to be transported from our hearts to the tissues of our bodies and back. 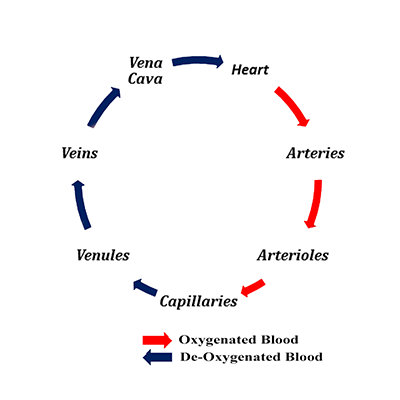 Blood circulation is a continuous loop. 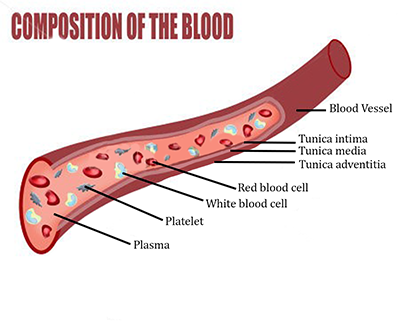 Blood vessels are divided into different categories depending on shape and function: one type of blood vessel will gradually split or link to form another type of vessel. They differ in size depending on function and position in our body. 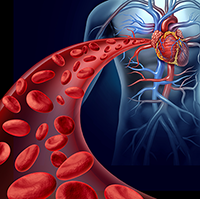 Blood vessels are responsible for transporting blood to and from our heart, therefore receiving nutrients to and from tissues. Arteries commence blood’s journey away from our hearts. Arteries have thicker muscular walls with a greater number of elastic fibres that contract to squeeze blood along passage ways away from our hearts. The aorta is the large artery leaving the left ventricle of the heart, dividing and sub dividing to become arterioles. The muscular walls of arteries and arterioles are thicker and more powerful than the muscular walls of veins. The main purpose of arterioles is to supply blood to capillaries. Arterioles become capillaries that spread to all parts of our bodies and have the thinnest walls, only one cell thick to allow diffusion of nutrients and gases into tissues and cells. Nutrients and oxygen pass through the walls from our blood into individual tissue cells. Likewise waste products such as CO₂ and lactic acid pass back into our blood to be carried away and excreted. Blood flows slowly through the capillary beds to allow for this exchange. There are more capillaries than any other type of blood vessel. Venules begin the journey back to the heart. Capillaries pass through tissues to deposit nutrients and oxygen and pick up CO₂ and waste products; the capillaries join together to become larger vessels called venules that form larger veins carrying de-oxygenated blood back to the heart to be re-oxygenated by the lungs. 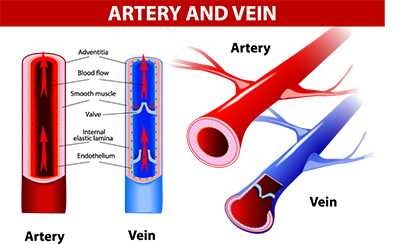 Veins have thinner walls than arteries with little contractility; they still use peristaltic action although due to low pressure a series of one way valves prevent backflow (venous return) preventing pooling in our limbs and reversed blood flow. Veins lead to the vena cava passing de-oxygenated blood from the rest of the body to the right atrium. Veins and venules carry de-oxygenated blood high in CO₂, the exception being pulmonary veins and venules that carry oxygenated blood back to the heart. The valves at the exit points of ventricles prevent backflow. Arteries and arterioles carry oxygenated blood around the body, the exception being pulmonary arteries and arterioles carrying de-oxygenated blood to the lungs. Peristalsis (wave like muscular contraction) aids blood flow from the heart under high pressure. As arterial walls stretch passively they immediately contract, similar to how an earthworm moves. Blood circulation is a closed system where pressure varies constantly, peaking at each heartbeat contraction, falling to lowest level just before the next heartbeat. 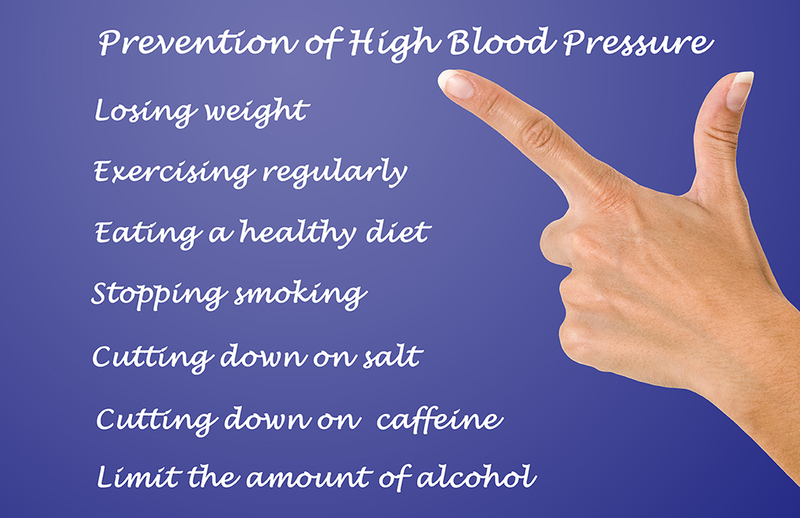 Hypertension is when an individual has high blood pressure meaning the pressure is constantly higher at rest. Inactivity for extended periods slows the blood flow to lower limbs resulting in blood pooling and blood clots (DVT) that can be exasperated by sitting on a hard aeroplane seat for long periods, causing reduction in blood flow to lower limbs. It is good to incorporate a pulse lowering cool down at the finish of every exercise session to reduce blood pooling in lower limbs. Refer to: ‘The Importance of Warming Up and Cooling Down’. There is an increase in SBP (systolic blood pressure) with increasing levels of exertion, in contrast DBP (diastolic blood pressure) may decrease slightly due to vasodialation or may remain unchanged, except in hypertensives where it may rise as result of an impaired vasodilatory response. Heavy resistance and isometric exercise will increase both SBP and DBP. Hypertensives are best to avoid these and holding their breath, as this increases pressure in the thoracic cavity impeding venous return known as the valsalva manoeuvre. Aerobic exercise using large muscle groups in rhythmical activity helps reduce blood pressure over time, being shown to decrease SBP and DBP by 10mmHg in mild and moderate hypertensives. Strength or circuit training does not lower blood pressure; although both have other benefits. 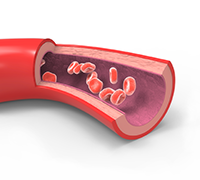 The smooth muscles in blood vessels allow vasoconstriction (narrowing) and vasodilation (widening); either more blood or less blood can flow through them enabling our body to direct blood flow to different tissues depending on where oxygen and nutrients are required, playing a part in blood pressure regulation. When food is eaten, blood vessels of the digestive system dilate increasing blood flow whilst blood vessels of muscles vasoconstrict reducing blood flow. During exercise the opposite occurs. Food eaten too close to exercise leaves food undigested in the stomach and leads to stitches or cramps and can sometimes lead to feeling sick or vomiting.